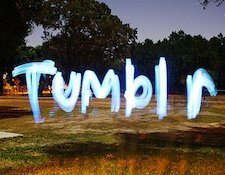 Tumblr is switching its focus to monetization and has introduced a new feature that offers bloggers the ability to showcase a post on the Tumblr Dashboard. The catch? It only costs $1. 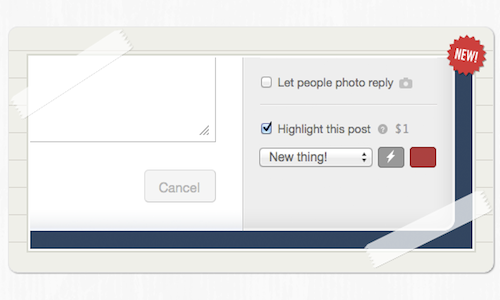 Now when you’re creating a new post, you can choose to highlight that post with a label that will appear in your followers’ streams. You can choose from a variety of icons and messages – including “help,” “watch this!,” and so on. Highlighted posts will also appear slightly larger with a bigger font on the Dashboard. Tumblr first toyed with the idea of monetization last year when it rolled out premium themes. Highlights will cost you $1 each time you use it. Before publishing your post, you will be prompted to fill in your credit card information or to make the payment through PayPal. It’s still too early to tell if Highlights will help to increase traffic or engagement. Although it doesn’t seem like a hefty price, it could quickly add up. If this seems like something you’d be interested in, it might be worth setting aside a small budget.